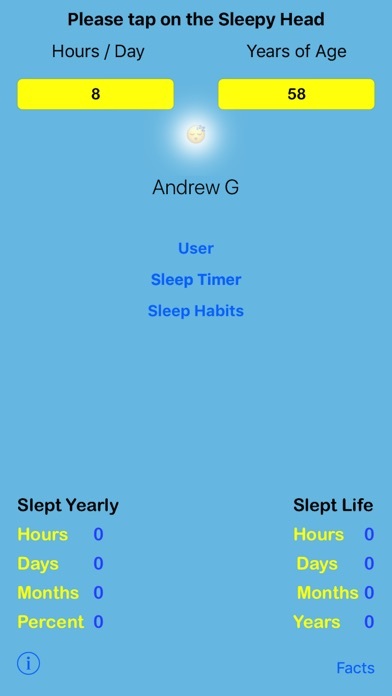 ....Sleep Smarter... An App that shows you how much of your life you spend sleeping. 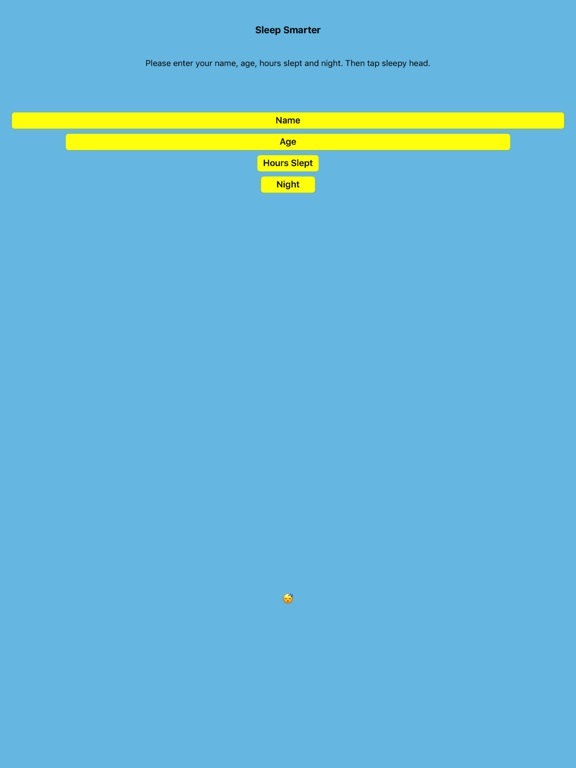 Just enter your name, age, hours slept and what night, then press the sleepy head button. Press the "facts" button to go to a site that discusses sleeping facts. You can also use the timer when you take a nap or go to bed. Press the start button when you go to sleep and when you wake up press the stop button, and take note of time slept, hit the close button, tap User and fill in all fields then tap sleepy head. You can also click on the 'Sleep Habits' page and monitor how many hours you sleep on days of the week. Please go over to: http://www.upndn.com/contact for any questions you may have or to leave a review or any feedback. 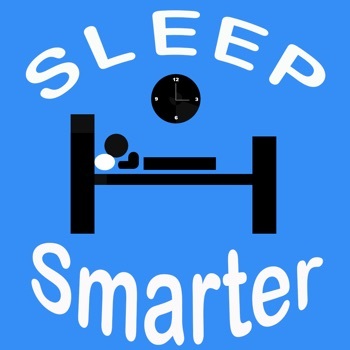 Thank you for downloading SLEEP SMARTER.